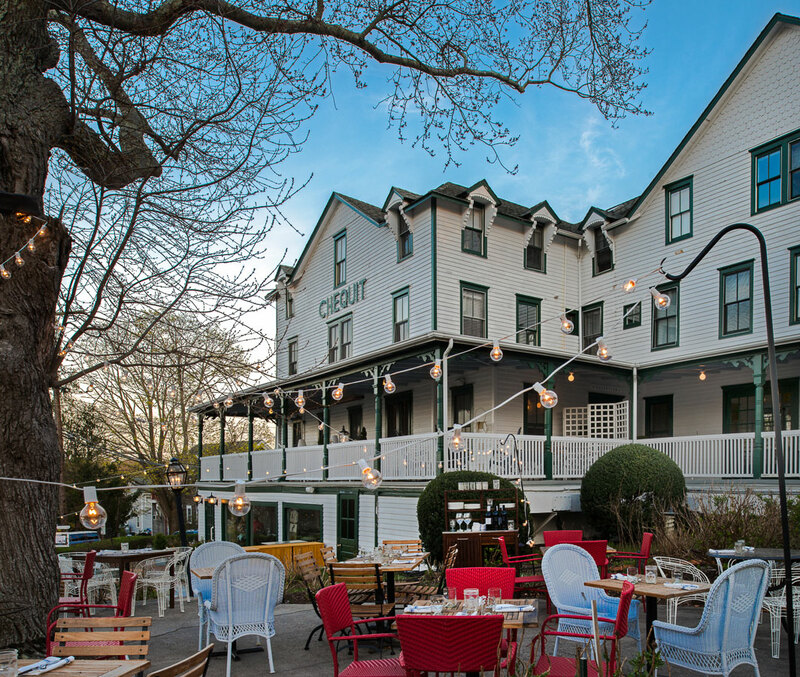 The Chequit Inn, built in 1872, is a charming Victorian country inn on Shelter Island. Located in the historic district, Shelter Island Heights, it has a lively downtown atmosphere and a popular restaurant open daily year-round. Showcasing a sun terrace and views of the sea. Free WiFi and free private parking. 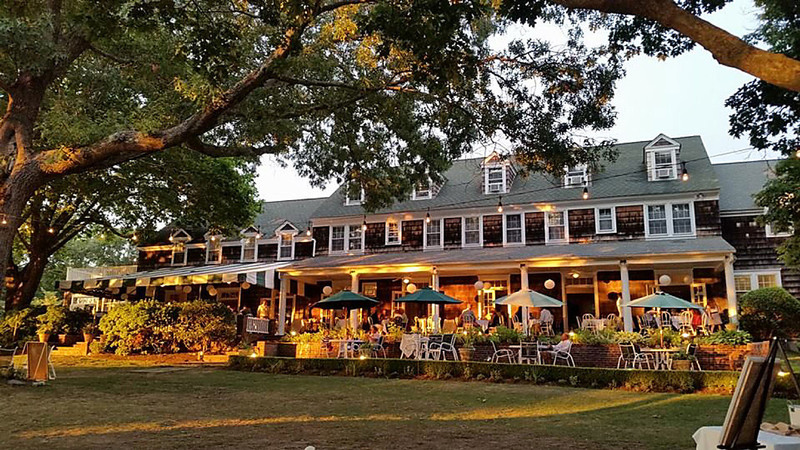 Shelter Island’s 17-room Ram’s Head Inn offers world class hospitality with New England charm running from a spacious lawn seeded with Adirondack chairs for sea-gazing to sunset dining on a wide porch. 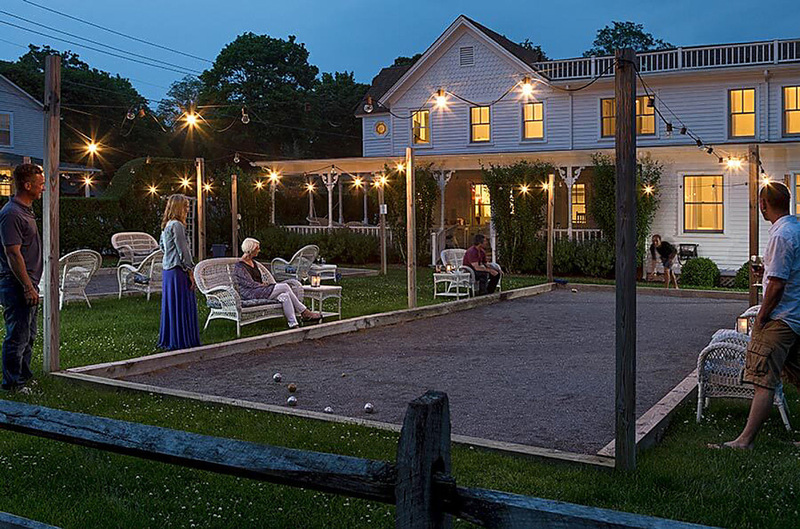 The beachy farmhouse exterior of the Shelter Island House gives little hint of this Inn’s brightly decorated second-floor suites: spa-inspired baths with jetted tubs and Cote Bastide toiletries. Visit the lively tavern for cocktails, conversation, burgers, and bourbon short ribs. A seaside hideaway overlooking Shelter Island Sound created by famed hotelier Andre Balazs with only twenty guest rooms. Each room comes with its own private sundeck with water views, seating and living area, vanity area with adjoining shower or bathtubs, Kiehls bath products, spacious closets, stocked mini-bar, refrigerator, iPod-ready sound systems, TV with DVD, 400 thread count linens, twice daily housekeeping service and room service from the beachside restaurant. Guests enjoy complementary Wi-Fi, beach chairs with towels, bicycles, paddleboards, petanque and priority restaurant reservations. 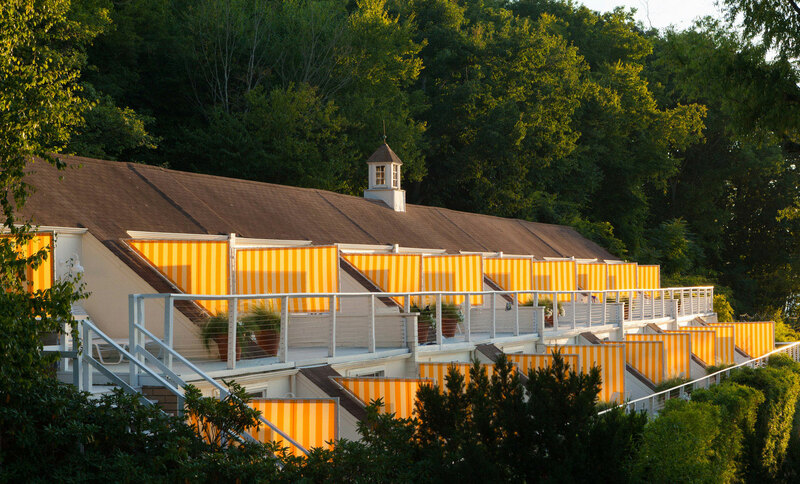 All guest rooms have king sized beds or two double beds, overlook the sunset and range from 410 to 430 square feet. But the draw here is the sunsets, simply extraordinary. Drawing inspiration from its original roots in the 1800s, Shelter Island House has been reinvented with luxurious modern beach flair although the architecture maintains its historic details. The intimate hotel boasts graciously sized rooms with spa bathrooms decorated with local art. Guests enjoy complementary amenities, including Wi-Fi, Pool and Bicycles. An on-premise restaurant and bar are also available. Relax on the deck with morning coffee or an evening cocktail, grab a snack from the pool bar for a day at the beach or borrow bikes for Island exploring. Wrap the day with a dip in the pool, a game of petanque and dinner alfresco.